The following graphic shows the generic area of Midfield Pressing which can be slightly adjusted towards either a teams own goal or the opponents goal depending on the coach’s philosophy. Good starting position for defending where the distance to own goal is not too far. The shorter distance to the opponent’s goal allows for continuing play effectively. Depending on the game situation, a team is able to actively force opponents to one side, approach opponents and deny opportunities. 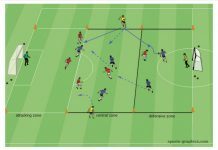 Dangerous game situations on a switch of play and diagonal balls. 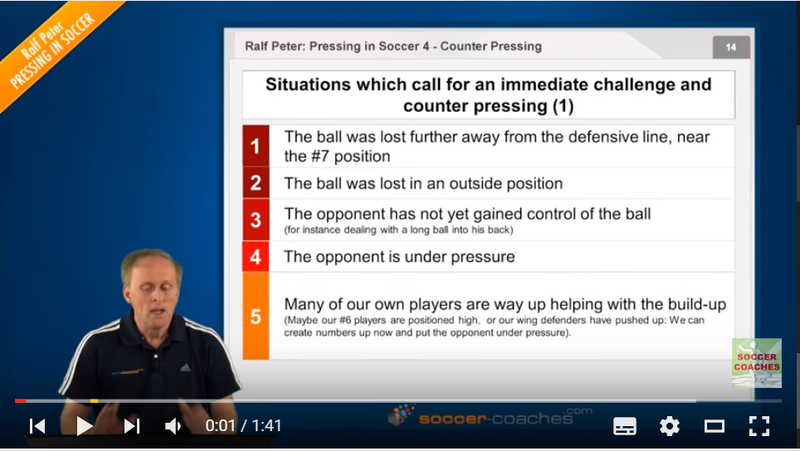 The player in possession (opposing defender) does not receive constant pressure. 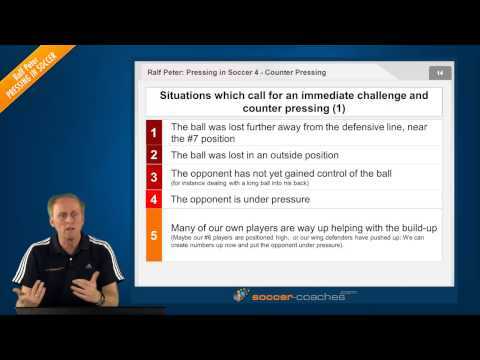 Therefore, the defending team must react to passes more often and cannot dictate the game as much. The following graphics show High Pressure in its preparation stage and in its final stage. It also highlights the space in which High Pressure should be applied. 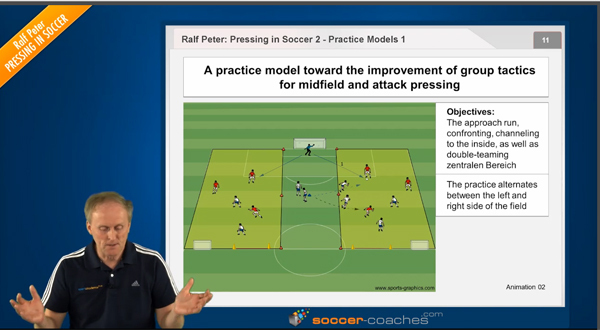 The graphics show that High Pressure is being developed through Midfield-Pressing. 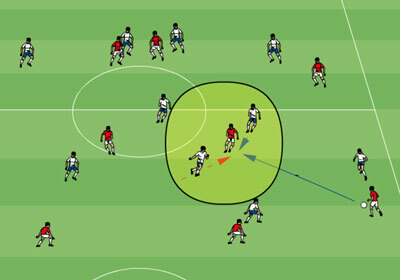 The defending team waits for a short pass to initiate the attack by the attacking team and immediately pushes up as a team as shown in graphic 03. Defending actively is almost always possible. Short distance towards the opponent’s goal after winning the ball back. The defending team defends high up the field and further away from its own goal. It is always more difficult to defend big space than it is to defend smaller space. Long balls in behind the defense can become dangerous situations. Poor tactical behaviour of just one player is more difficult to compensate for than using other defensive strategies. The following graphic shows space to be covered when applying Low Pressure. As shown here, the entire defending team is positioned in its own half and closer to its own goal to stay compact. Through balls are nearly impossible as the defending team is close to its own goal. Lots of space in behind the opponent’s defense for quick counter-attacks after regaining possession. Good compactness, however, the defending team mostly reacts to situations initiated by the attacking team (passive approach). Long way to get behind the ball when possession is lost, especially for Forwards. 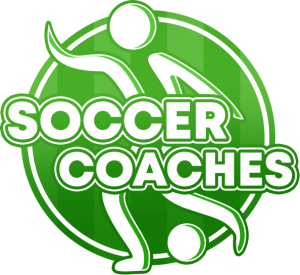 The opposing team can play long balls towards the penalty box where second balls could become dangerous for the defending team if not won immediately.